Turnaround. 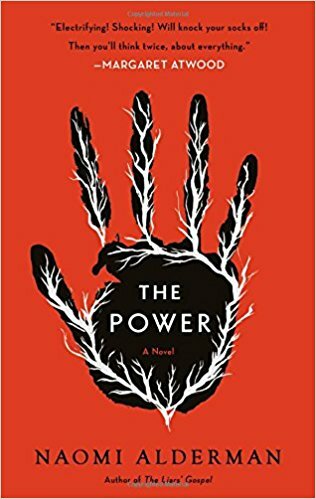 I loved reading Naomi Alderman’s novel, The Power, for three reasons. First, she draws readers into a creative and engaging story. Second, her prose is finely written. Third, she explores a fundamental question about human nature and behavior: if women had a physical trait that provided them with the means to dominate men, what might be different in human relations? 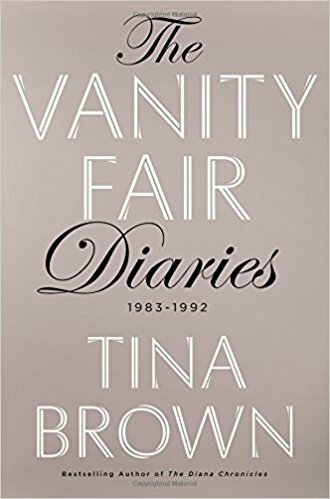 It was especially timely to read this novel when each day’s news provides a report about another prominent male exercising power through some form of inappropriate behavior. Any book club that skips this title will lose an opportunity to discuss gender similarities and differences. Rating: Five-star (I love it) Click here to purchase The Power from amazon.com. Memory. One of fiction’s great themes is that things are often not as they appear to be. 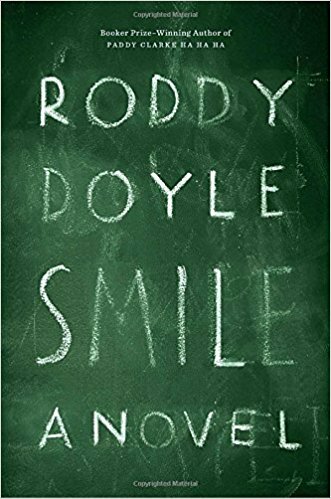 In Roddy Doyle’s novel, Smile, memories and what really happened may also be different. 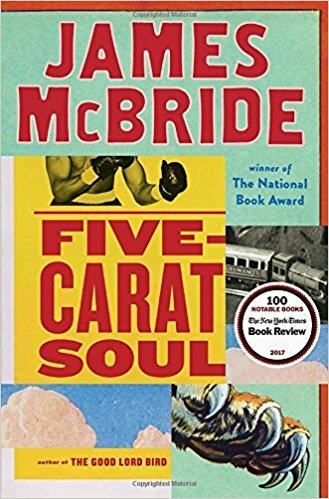 Protagonist Victor Forde remembers lots of vivid things, include abuse while at school, but he doesn’t quite recall a fellow student named Eddie whom he meets decades later. Doyle offers readers crisp dialogue, humor, and great uncertainty about the reliability of memory. Rating: Four-star (I like it) Click here to purchase Smile from amazon.com. Romance. My life, your life, and Adam Gopnik’s life are very different. In his memoir titled, At the Strangers’ Gate, Gopnik uses polished prose to sing a love song to Manhattan and to the incredible luck he has experienced from the time he first arrived. On every page, he entices readers with the places, people and feelings that have given him an enchanted life in New York City. Readers who love Manhattan and who have enjoyed Gopnik’s writing are those most likely to appreciate reading about his ongoing romance with Manhattan. Rating: Four-star (I like it) Click here to purchase At the Strangers' Gate from amazon.com. Transformative. Sometimes a memoir describes a life similar to one’s own. Other times, a reader can learn about a world that bears little resemblance to our reality. 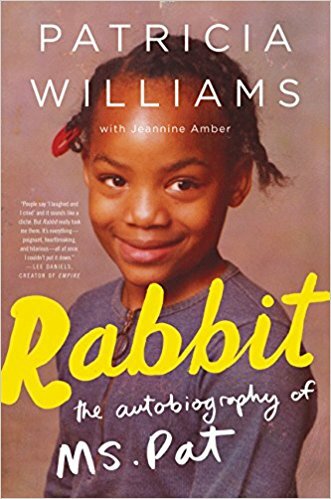 I was gobsmacked when I read Patricia Williams memoir titled, Rabbit: The Autobiography of Ms. Pat. This is a story about growing up poor and black in America. While she says, “Everybody’s got a struggle. Nobody gets through this life easy.”(p. 211), her life was never easy, and her struggle was very hard. While much of her story is sad, this memoir is all about the transformative power of love, and about how our lives can change. 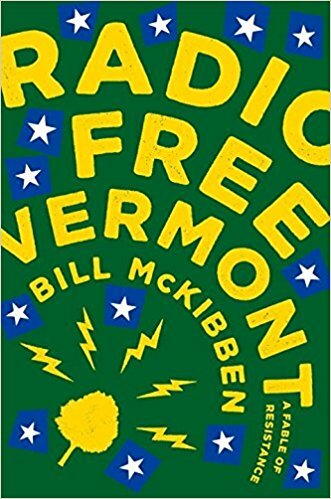 If you think you know a thing or two about growing up poor and black in America, or if you don’t, read this fine book and be inspired by one person’s story, and be angry about the conditions that create such a hard struggle to survive. Rating: Four-star (I like it) Click here to purchase Rabbit from amazon.com. Pugnacious. One progressive politician with a clear voice about what she thinks is right and wrong in America is Elizabeth Warren. 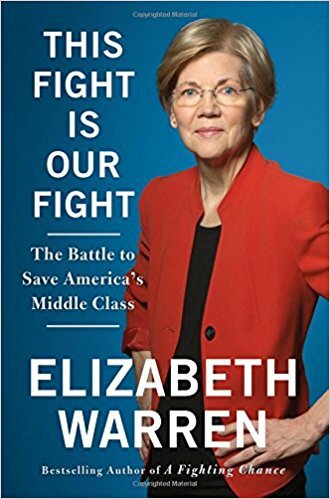 In her book titled, This Fight Is Our Fight: The Battle to Save America's Middle Class, she conveys that clarity by drawing a line with corporations and the wealthy on one side and middle class working people on the other. Her main theme is that corporations and wealthy donors benefit from policies to increase their rewards, while the average worker falls further behind every year. 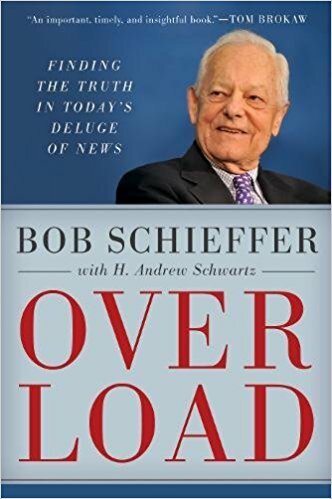 Readers interested in public policy, whether agreeing with Warren or opposed, will benefit from hearing the clarion sound of her voice and passion about our current state of affairs. Rating: Four-star (I like it) Click here to purchase This Fight Is Our Fight from amazon.com. Humor. There are twelve short stories in the latest collection by T.C. 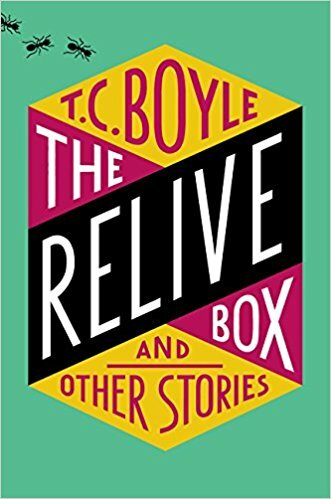 Boyle titled, The Relive Box. Any reader who enjoys short fiction will see a master of the genre at his finest in these well-crafted stories. Many of the stories contain humor that gave me a long-lasting grin. I had already read a few of the stories when published in periodicals and found a multiplier effect of reading pleasure in recalling those stories in the midst of ones fresh to me. Rating: Five-star (I love it) Click here to purchase The Relive Box from amazon.com. Curiosity. I wonder if the successful bidder of $450 million for the Leonardo painting titled, Salvator Mundi, read Walter Isaacson’s book titled, Leonardo da Vinci, prior to making an offer on the artwork. I also wonder what Leonardo would have thought of the selling price. 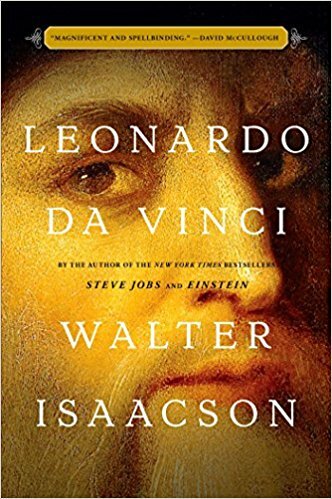 Perhaps my curiosity was stimulated by this finely written book in which Isaacson explores Leonardo’s life and work. The artist took great joy in distractions, never flagged in his curiosity, let things marinate for years, and did not finish a lot of what he started. A close observer of many things, Leonardo spent his whole life in continuous improvement. The words and images in this book brought me great pleasure and more questions. Rating: Five-star (I love it) Click here to purchase Leonardo da Vinci from amazon.com. Bystander. Many of us in middle or later life reflect on formative events of our youth. Sometimes we recall and confirm how what we did was the right thing; other times we have regrets and wonder if we might have done something different. The protagonist of Emily Fridlund’s novel titled, History of Wolves, recalls at age 37 a summer when she was fourteen. At that time she was living with her parents on the site of a former commune in the woods of Northern Minnesota. When a family moves into a house across the lake, she becomes a part-time babysitter to a four-year-old boy. What she fails to observe at that time leads her to reflect on being a guilty bystander to tragedy that might have been averted had she intervened. 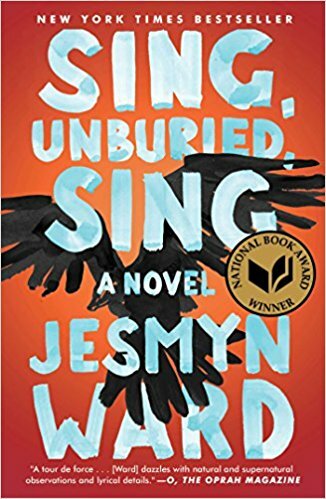 Fridlund reflects on love in this novel and what we choose to do or not do to those we love to belong to something larger than ourselves or to become accepted by others. 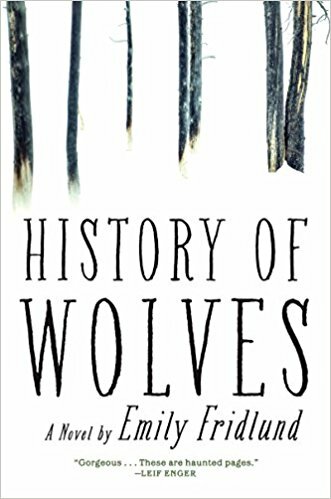 Rating: Four-star (I like it) Click here to purchase History of Wolves from amazon.com. Observations. 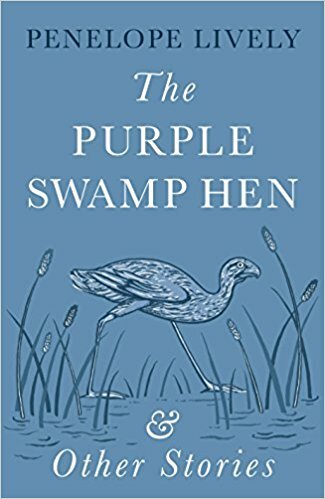 The fifth short story collection by Penelope Lively is titled, The Purple Swamp Hen and Other Stories. 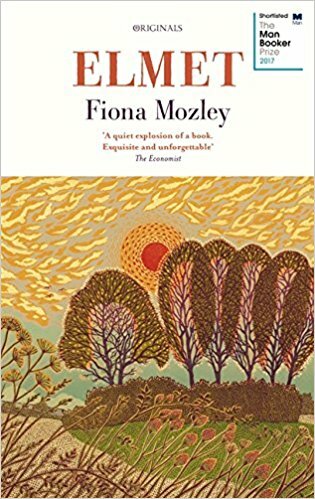 In each of the fifteen stories, Lively calls attention to some observations about people or situations that might be overlooked, and leads readers to a revelation or understanding. She often uses humor as the path to insight and wisdom, and her prose conveys her joy in our language. Readers who enjoy literary fiction, especially short stories, are those most likely to enjoy this collection. Rating: Four-star (I like it) Click here to purchase The Purple Swamp Hen from amazon.com. Marriage. 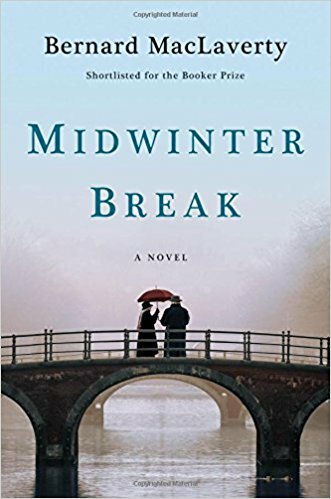 One thought I had half way through Bernard MacLaverty’s finely written novel titled, Midwinter Break, was that the author was accomplishing lots of things in very few pages, a quality I always appreciate. Things are not they appear as Irish retirees Gerry and Stella Gilmore leave their home in Scotland for a holiday in Amsterdam. 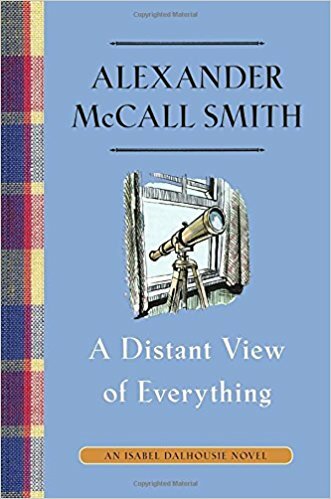 MacLaverty captures with great skill the many ways in which long-married couples fall into patterns of behavior and do things that can be concurrently endearing and annoying. Habits and the reaction of a spouse to those habits can become the refining fire of a strong relationship or the consuming flame of a weakening one. 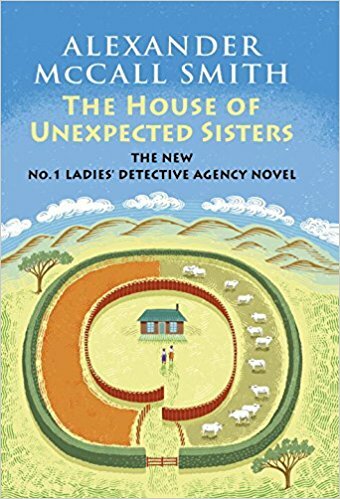 Thanks to MacLaverty’s astute character development and finely written prose, we learn a lot about the habits in this marriage, the transforming events of their past, and the uncertainties ahead. Rating: Four-star (I like it) Click here to purchase Midwinter Break from amazon.com. Duneen. 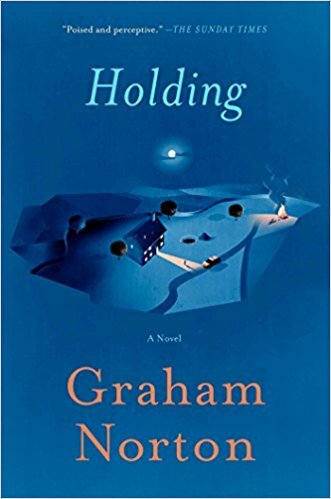 Not many mystery novels make me laugh, but the debut novel by Graham Norton titled, Holding, presented a sense of humor that aligned well with my own. 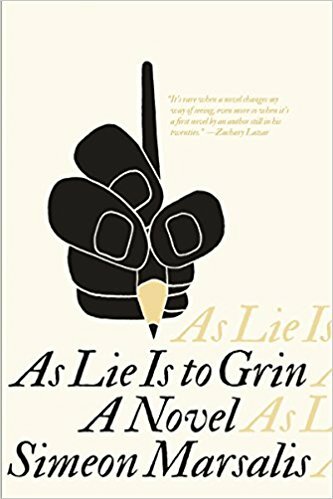 I had low expectations for a novel written by the host of BBC America’s The Graham Norton Show, and his writing was better than I expected. 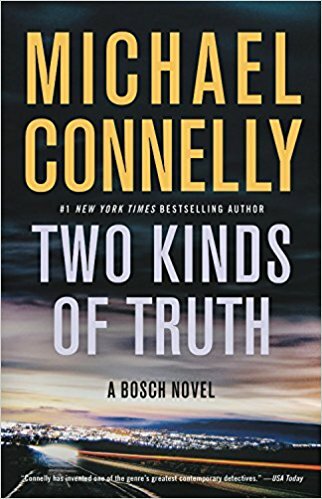 Set in the small Irish town of Duneen where everyone knows everybody and their business, human bones are discovered on a building site. Protagonist Garda sergeant P.J. Collins finds himself at the center of the mystery, despite the case being led by a big city detective. Collins is overweight and endearing. Secrets that have been kept for decades are held no more. Kindness and decency abide throughout Duneen, and spending time in this small town brought me great reading pleasure, and many smiles along the way. Rating: Four-star (I like it) Click here to purchase Holding from amazon.com. Echo. I like the ways in each of his novels that Marcus Sakey leads readers into thinking about what’s important. 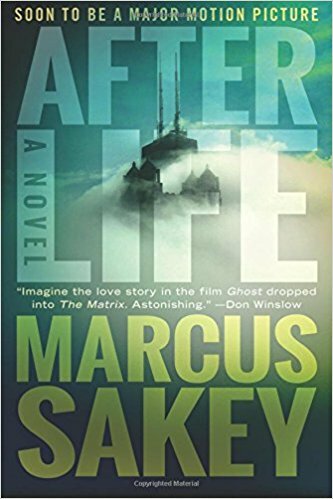 In his thriller titled, Afterlife, Sakey does his usual battle between good and evil, and adds a creative way of thinking about what happens after we die. Protagonists Will Brody and Claire McCoy work together at the FBI and are both killed by the same criminal. They meet again after death in a setting that looks similar to the “real” world only transformed, more like an echo. Sakey leads them into layers of an afterlife, each one more desolate as they search for a malevolent force feeding on fear and death. The temptation to compromise with evil remains present with every good person, and Sakey enlivens the action of this novel with the nuance of what else might have been. 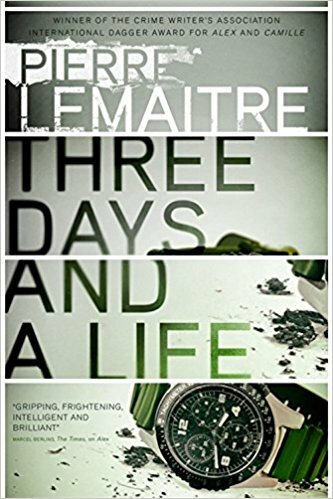 Fans of thrillers will love the action of this novel, and anyone who thinks about what comes after death will be presented with a version here that I found interesting and enjoyable. Rating: Four-star (I like it) Click here to purchase Afterlife from amazon.com. Inheritance. The Telemachus family has members with incredible psychic powers. 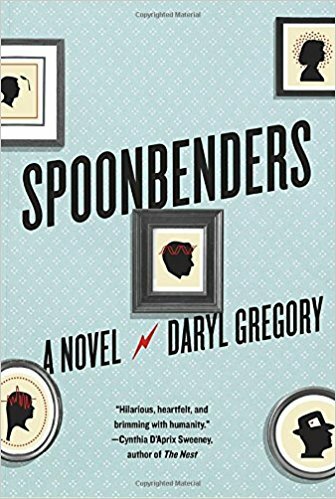 While Daryl Gregory uses those powers to drive the plot of his novel titled, Spoonbenders, the strength I found in the book comes from the depth of character development and the humor throughout. This is fine storytelling about an interesting family and the care they have for each other. 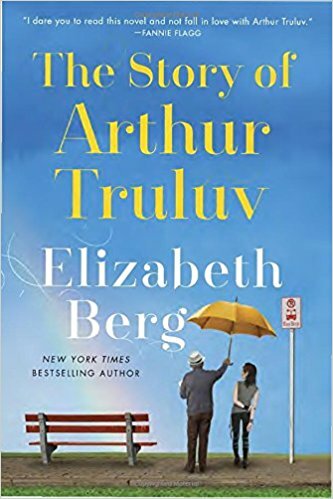 Some readers may become disoriented from the shifts in time and perspective by different characters, but I found all of that to be another part of enjoying a multi-generational family story. Rating: Four-star (I like it) Click here to purchase Spoonbenders from amazon.com. Exposed. 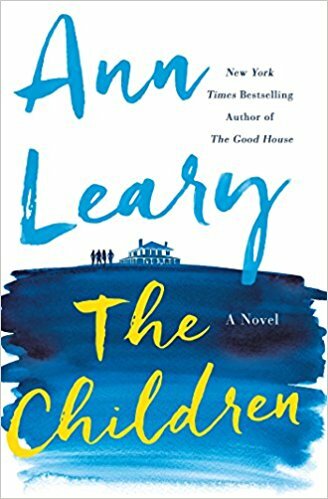 It took me a year to finally open a copy of Ann Leary’s novel titled, The Children. I don’t know why I waited so long. Over the course of about 250 pages, Leary brings a Connecticut lake house into close focus alongside a large cast of characters connected to that house. Secrets are exposed and many characters become more interesting and complex as an initial perception of quirkiness gives way to understanding and insight. Readers who enjoy finely written literary fiction are those most likely to enjoy this novel. Rating: Four-star (I like it) Click here to purchase The Children from amazon.com. Mossad. 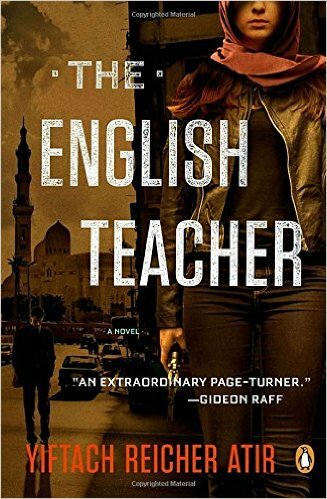 Fans of spy novels are those readers most likely to enjoy Yiftach Reicher Atir’s novel titled, The English Teacher. 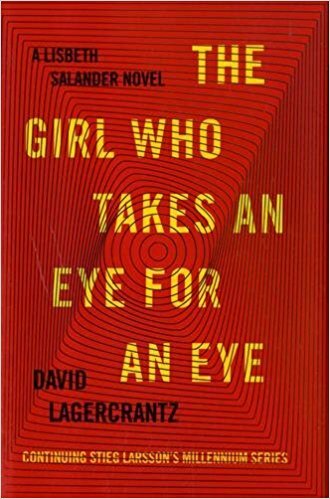 Protagonist Rachel Goldschmitt has been a Mossad agent living in a Muslim country under a false identity and working as a teacher. 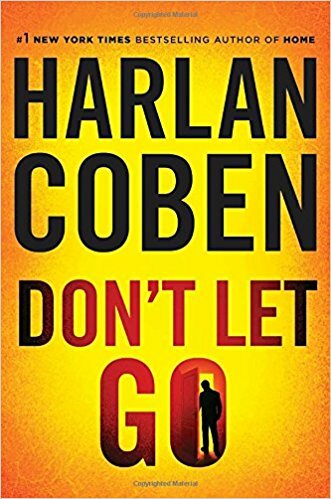 Following the death of her father, she disappears and the Mossad sends her handler, Ehud, to track her down and help assess whether she presents a risk. Atir tells an interesting story about a complicated individual and explores the question of identity. I was entertained. Rating: Four-star (I like it) Click here to purchase The English Teacher from amazon.com. Victims. Is it too soon for a novel whose subject is the clerical sexual abuse scandal in the Catholic Church? 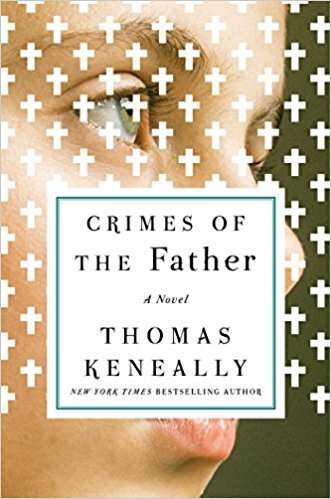 Thomas Keneally thought not and wrote Crimes of the Father, a novel set in Sydney Australia in two alternating time segments: the 1970s and 1996. Protagonist Father Frank Docherty was born in Australia, joined a religious order there and was ordained a priest. Following his preaching in the 1970s against the Vietnam War, the archbishop wanted him out of the country, so his order transferred him to Canada where he became a psychologist and teacher. He returns to Sydney in 1996 to give a speech to clerics about sexual abuse, and to visit his ill mother. Both victims of abuse and priests aware of the crimes of fellow priests take Frank into their confidence. Keneally develops all the characters with skill, especially the victims, and by setting the time period when he did, we can see the emergence of attention to the abuse scandal. Rating: Four-star (I like it) Click here to purchase Crimes of the Father from amazon.com. Mothers. Things are not as they appear in the planned community of Shaker Heights, Ohio, and when secrets are revealed the consequences are dramatic. 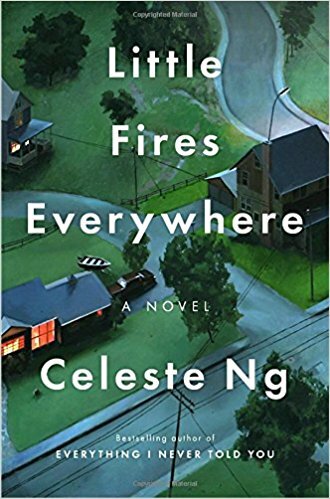 Celese Ng homes in on the theme of motherhood in her novel titled, Little Fires Everywhere. A variety of birth and adoptive mothers are faced with difficult choices. The children of those mothers are the beneficiaries or the victims of those choices. Differences in class are dramatic, but disaster knows nothing about class. 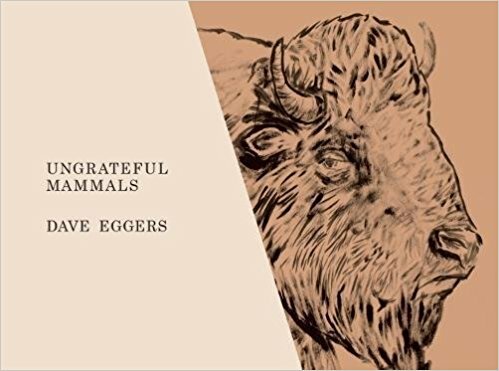 There are many little fires simmering or blazing in the houses of Shaker Heights, and thanks to Ng, readers are drawn into these lives to become singed. Rating: Four-star (I like it) Click here to purchase Little Fires Everywhere from amazon.com. Anna. 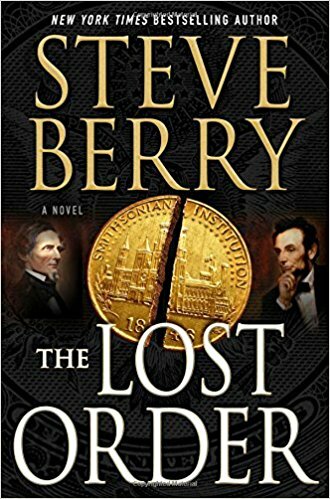 While I’m reading historical fiction, I notice what happens when I recognize how much I am enjoying a novel: my mental images of the past change from black and white to color. 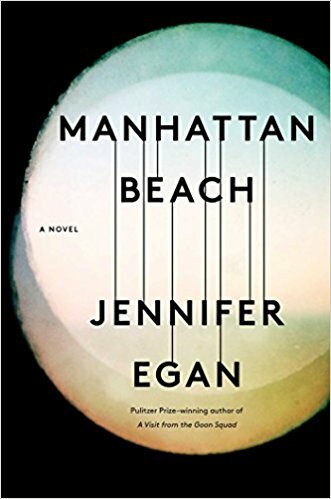 From page one of her novel titled, Manhattan Beach, Jennifer Egan sent vivid color to my brain. 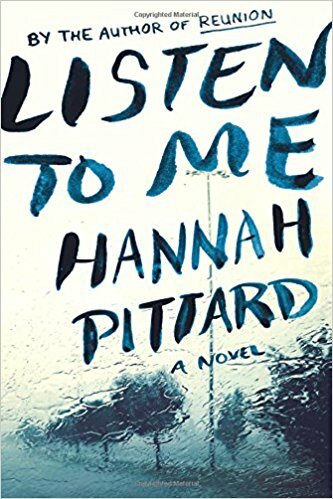 Set mostly in and around the Brooklyn Navy Yard during World War II, the novel draws readers into that place and time through a well-developed protagonist, Anna, who overcomes resistance to become a diver. 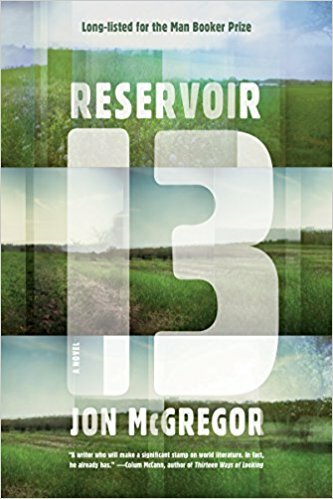 Egan leads us into a world of gangsters, complicated family dynamics and a variety of forms of loss and restoration. Her fine prose and well-told story entertained me thoroughly from beginning to end. Rating: Five-star (I love it) Click here to purchase Manhattan Beach from amazon.com. Middle. Our finest artists look at the world and explain it to the rest of us. 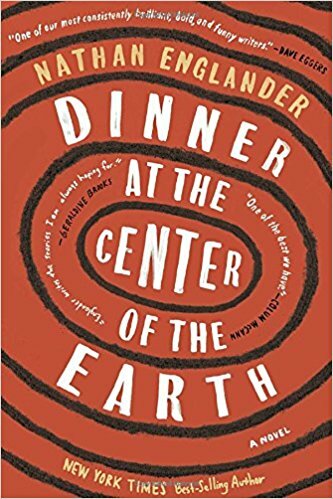 The talented writer Nathan Englander looks at the Israeli and Palestinian conflict and explains it to us in his novel titled, Dinner at the Center of the Earth. When differences divide us, it can be helpful to understand the other’s point of view, clarify our own position, and find common ground or ways of meeting in the middle. The trope of meeting for a meal in the middle of a tunnel expresses the journey each party must take to come together. A long-held prisoner and his guard illustrate the ways in which different parties are put together and uncover common ground. Fans of literary fiction are those readers most likely to enjoy this novel. Rating: Four-star (I like it) Click here to purchase Dinner at the Center of the Earth from amazon.com. Meditation. 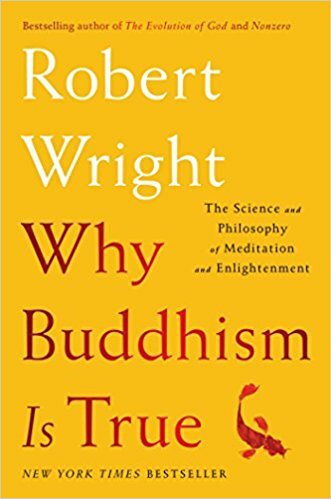 Robert Wright offers a secular and not a religious perspective about Buddhism in his book titled, Why Buddhism Is True: The Science and Philosophy of Meditation and Enlightenment. Wright is a thoughtful writer who offers his personal perspective about meditation and its place in his life. Readers get to observe Wright and his struggles on silent retreats and with trying to meditate. Each of us is on some path away from suffering and from our delusions, and this book describes the path that Wright has chosen. Rating: Four-star (I like it) Click here to purchase Why Buddhism Is True from amazon.com. Blake. Readers who don’t find Dan Brown’s writing tedious and plodding are those most likely to enjoy reading his latest novel to feature Robert Langdon. 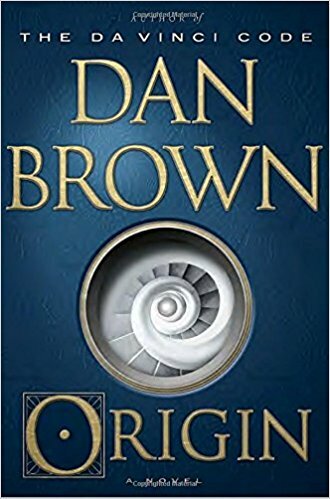 Titled, Origin, this novel explores answers that a student of Langdon provides to two perennial questions: where did we come from and where are we going? Brown teases out the student’s answers over the course of 480 pages using quotes from Winston Churchill along the way and aspects of the life and writing of William Blake. 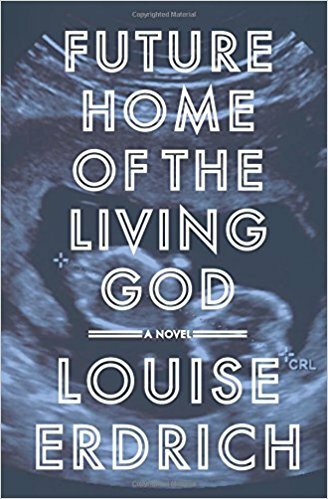 The Catholic church is back with a role to play in this novel. 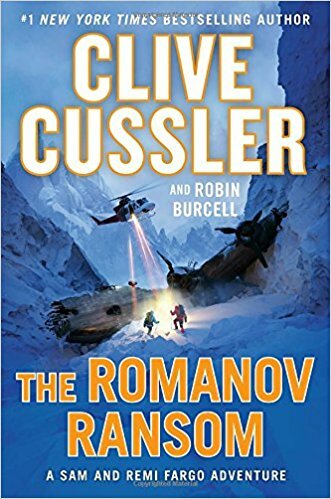 Brown has been successful with this formula in earlier novels, and the latest novel will seem very familiar to readers of his earlier books. Rating: Three-star (It’s ok) Click here to purchase Origin from amazon.com. Unintimidated. NBC News reporter Katy Tur was plucked from a welcome assignment in Europe to cover the 2016 presidential campaign of Donald Trump. Never suspecting that her assignment would last 500 days and that the candidate she was covering would become President, Tur hit the road and came to understand the scope of Trump’s support. 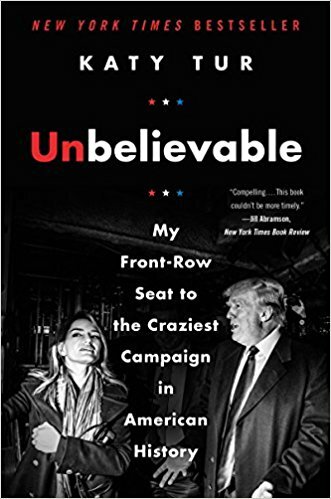 She writes about her personal experience of the campaign and her early life in a memoir titled, Unbelievable: My Front-Row Seat to the Craziest Campaign in American History. 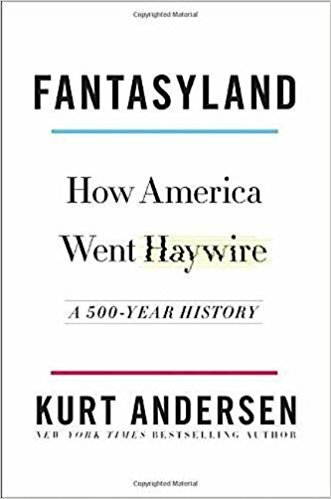 Readers looking for some Teddy White style perspective on the campaign won’t find much new in this book. 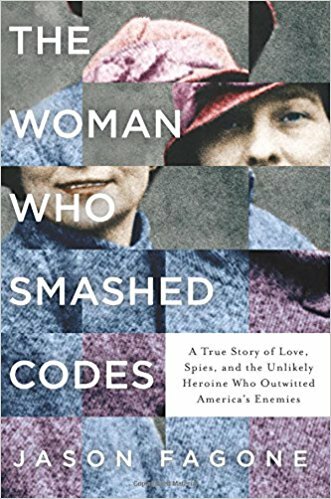 Readers interested in Tur herself and the ways in which she was never intimidated by Trump or his supporters are those most likely to enjoy reading this book. Rating: Three-star (It’s ok) Click here to purchase Unbelievable from amazon.com. Character. 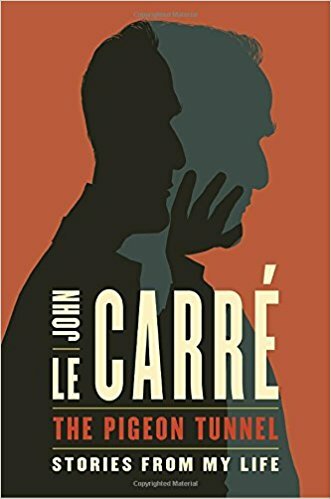 I am a sucker for character-driven crime fiction. 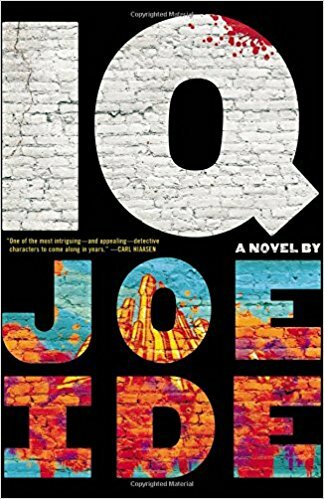 A new series by Joe Ide begins with a title, IQ, named for the protagonist, Isaiah Quintabe. Isaiah is a smart guy with a big heart. 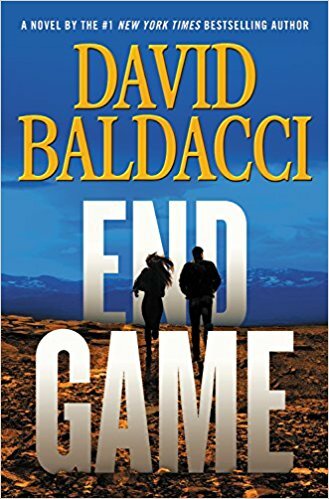 Ide introduces Isaiah in two time segments in this novel: when he dropped out of high school in 2005 and in 2013 where he and his sidekick, Dodson, are caught up in an exciting and lucrative case. 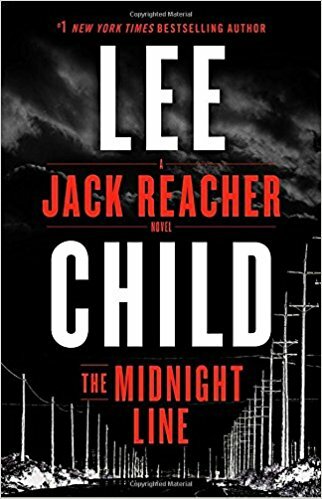 Set in Southern California and rooted in South Central, the crimes and action are presented vividly and by the end of the novel, I knew I was hooked on another crime fiction series, thanks to the interesting central character, Isaiah Quintabe. Rating: Four-star (I like it) Click here to purchase IQ from amazon.com. Caper. 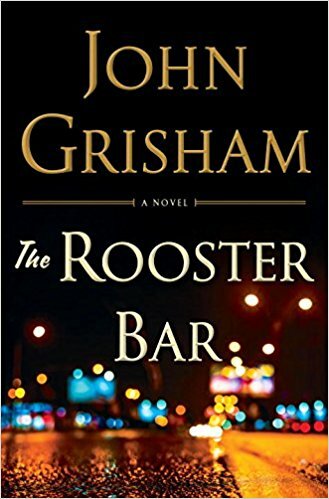 My guess is that John Grisham had a lot of fun writing his novel titled, The Rooster Bar. Readers who can overlook some clunky writing may have fun reading it. Three third-year law students face the reality that their job prospects after getting a degree from a bottom-tier school won’t generate the income they need to repay massive student loans. What follows is a caper to reveal a scam by a wealthy lawyer, to commit felonies, and to change their lives. The more preposterous the behavior of the three protagonists, the more fun their exploits became. Rating: Three-star (It’s ok) Click here to purchase The Rooster Bar from amazon.com. Citizenship. 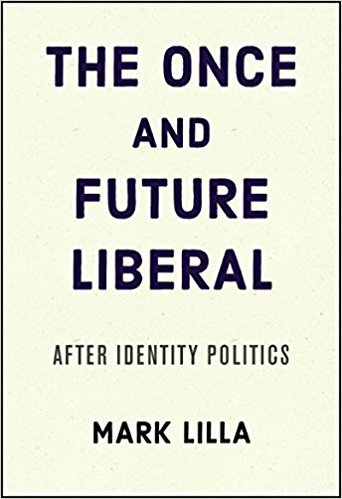 Many readers will bristle at Mark Lilla’s book titled, The Once and Future Liberal: After Identity Politics. That’s a good reason to read it, whether one agrees or disagrees with the author. Lilla proposes that the liberal attention to identity politics in recent years has been a harmful diversion. Over the past four decades the vision of American individualism championed by Reagan and others has become dominant. The problem he sees with that vision is that individualism leads to a lack of interest in discerning the common good and no way of drawing our country’s citizens together. Lilla calls for liberals to focus on citizenship, not identity. Whether you’re a liberal or a conservative, reading about this proposed reset will be of interest if you are a citizen interested in making our republic stronger. Rating: Four-star (I like it) Click here to purchase The Once and Future Liberal from amazon.com.